Online casinos are prevalent throughout most of Canada. 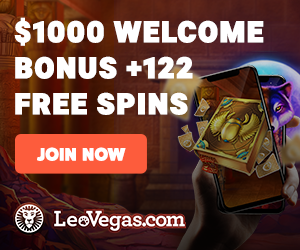 There are many sites available to Canadian players, from 888 to LeoVegas and dozens more. Most provinces, however, also offer online gambling regulated within their territory. Residents and visitors can play online poker, casino games, lottery offerings, and bingo, to name a few games. They are all predominantly overseen by local gaming regulators with taxes and profits going to benefit some aspect of each province. For instance, education or charitable organizations. Now, Alberta is ready to get in on the action. CBC News discovered the plan this month. The Alberta Gaming, Liquor and Cannabis Commission discreetly opened an opportunity for proposals from operators who would be able to coordinate gaming services and supply internet gaming for computers and mobile devices. The purpose was to gauge interest in the business. And it didn’t take long to find that there was significant interest. This alludes to one of the primary reasons that the Commission decided to move in the direction of regulated online gambling. Moreover, these sites pay no tax to the province or abide by specific regulations that the AGLC would like to establish. Players based in Alberta spend approximately $358 million on internet gaming sites each year. That’s according to AGLC Senior Communications Officer Chara Goodings. The AGLC is doing more than gauging interest in possible online gambling. That may have been the initial goal for soliciting proposals. But members of the Commission are fairly certain that they are ready to begin drafting official regulations and moving forward. Another member of the AGLC confirmed that proposals will be accepted for a short period of time. After which, one operator/developer will be chosen during the summer of 2019. From that point, it may take approximately one year to move forward with the work and launch the real-money online gambling site. That will open the virtual doors for Alberta players in 2020. Once Alberta launches its own online gambling site just one province will remain without any form of internet games: Saskatchewan. Some provinces go the simple route, such as New Brunswick, Prince Edward Island, Nova Scotia, and Newfoundland and Labrador. They offer services under the Atlantic Lottery Corporation, which only provides online lottery ticket sales and online bingo. Others like British Columbia offer a fairly full slate of lottery games, sports betting, internet poker, and other casino games. Saskatchewan may choose any number of options for joining the internet gambling world, with examples to follow in all directions. And the move toward online gaming can come from the two-decade-old Sask Gaming – Saskatchewan Gaming Corporation – that oversees the local Casino Regina and reports to the provincial government. The regulator is already in place with valid experience in the gaming world. The other option, of course, is for Saskatchewan to do nothing. Players in the area have long relied on internet casino and poker operators located outside the region for their gambling and betting needs. It is not the players who have a strong desire for more limited gaming; it is the province that would benefit from the taxes and local charities that would accept some of the profits. Meanwhile, Alberta will join the rest of Canada in operating its own online gambling regime. In the process, leaving all eyes on the singular holdout that is Saskatchewan.